When starting a new project, looking at a new framework, or fixing vulnerabilities identified as part of an assessment or tool, its nice to have one place to refer to the fixes for common security issues. This post provides solutions for some of the more basic issues, especially those around configuration. Most of these answers can be found in Microsoft's documentation or by doing a quick Google search. But hopefully having it all right here will save others some time. ASP.NET Identity comes with a class that validates passwords. It is configurable and allows one to decide if passwords should require a digit, uppercase letters, lowercase letters, numbers, and/or a symbol. This policy can be further customized by implementing the IPasswordValidator interface or extending the Microsoft.AspNetCore.Identity.PasswordValidator. The code below extends the PasswordValidator and ensures the password does not contain an individual's username. Description = "Your password cannot contain your username"
Next, ASP.NET Identity needs to be told to use that class. In the ConfigureServices method of Startup.cs, find services.AddIdentity and add ".AddPasswordValidator<CustomPasswordValidator<ApplicationUser>>();" as shown below. First, if you are using Kestrel, HTTPS (TLS) is not supported. Instead, it is implemented by HAProxy, Nginix, Apache, IIS, or some other web server you place in front of the application. If you are using Kestrel, the Secure flag cannot be enabled properly from the application code. However, if you are hosting the application in IIS directly, then it will work. 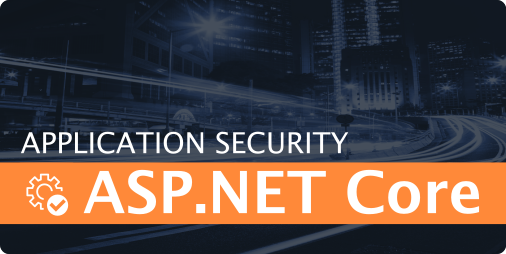 The following code demonstrates enabling both the HTTPOnly and Secure flags for cookie middleware in ASP.NET Identity through the ConfigureServices method in Startup.cs. When applications contain sensitive information that should not be stored on a user's local hard drive, The Cache-Control: no-store HTTP response header can help provide that guidance to browsers. To enable that feature, add the following code to the ConfigureServices method in Startup.cs. First, I believe the default right now is 10,000 and the algorithm is PBKDF2. The code below won't change that default iteration count, but it will show how it can be done. In ConfigureService in Startup.cs add the following code. As mentioned above, if you are using Kestrel you won't be able to use HTTPS directly. Therefore, you won't do this in your code. You will need to look up how to do this in HAProxy, Nginx, Apache, IIS, etc. If you are hosting your application using IIS directly, then you can enforce the use of HTTPS using something like https://github.com/aspnet/Mvc/blob/dev/src/Microsoft.AspNetCore.Mvc.Core/RequireHttpsAttribute.cs BUT, it will only be applied to your MVC controllers/views. It will not be enforced for static content (see https://github.com/aspnet/Home/issues/895). If you want to do this in code, you will need to write some middleware to enforce it across the entire application. Finally, the choice of cipher suites offered cannot be changed using code. A custom global error handler is demonstrated by the Visual Studio template. The following relevant code can be found in the Configure method of Startup.cs. The following post seems to cover most of these headers well: http://andrewlock.net/adding-default-security-headers-in-asp-net-core/. I haven't evaluated its design, but I did verify that I can install it and the headers are added successfully. Since Kestrel does not support HTTPS, consider whether its appropriate to implement the Strict-Transport-Security header using code or by configuring the web server placed in front of the application. Make sure you add this code BEFORE app.UseStaticFiles();, otherwise the headers will not be applied to your static files.